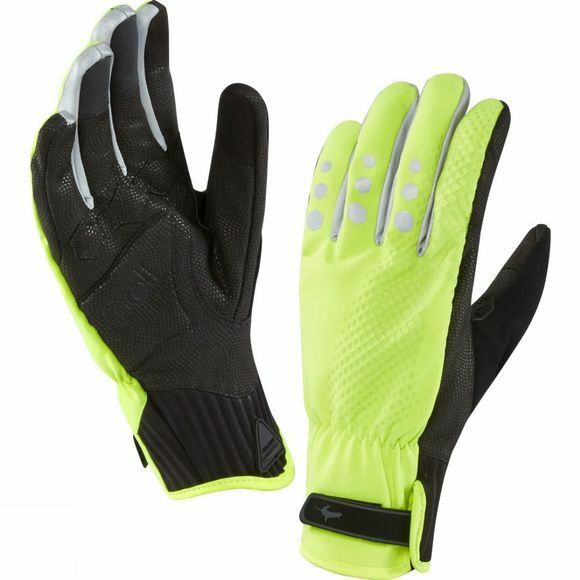 This All Weather XP Cycle Glove is protective, comfortable and dexterous, with pressure point padding and box finger construction. The glove is fully waterproof, breathable and windproof with a soft and durable synthetic palm for grip and easy washing. 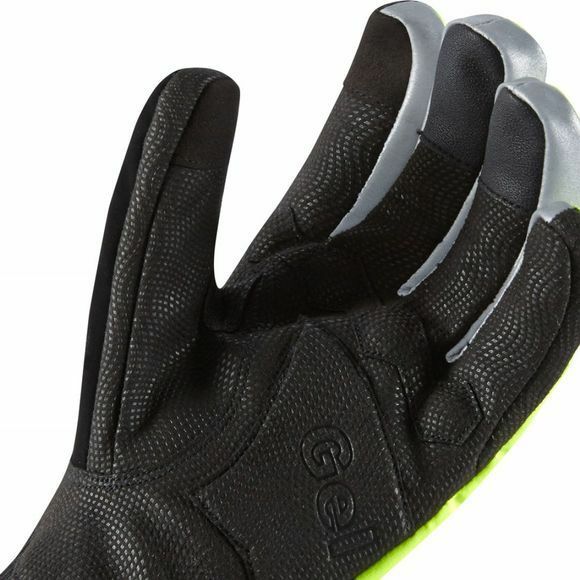 Anti-grip technology is featured, meaning the liner will not pull out when removing the glove as it is attached to the inner fabric. The forefinger and thumbs are touch screen compatible to allow use with a multitude of devices, while reflective detailing increases visibility in low light conditions. With anatomically positioned padding for comfort and a PU wiper on the thumb the All Weather XP is a great all round cycle glove.